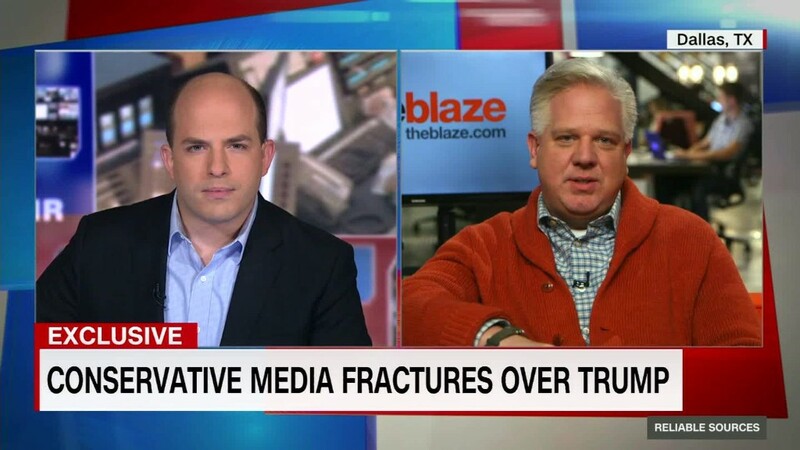 Bill Maher and Glenn Beck are unlikely bedfellows. But both have issued remarkable mea culpas about the stridency of their past language in the context of Donald Trump's march toward the White House. The media have engaged in considerable soul-searching, self-examination and recriminations since the election. The questions range from failing to recognize the mood and concerns of Trump voters to what role the coverage played in stirring resentment and sharply dividing the country. Several prominent voices have identified ratcheting up rhetoric prior to 2016 as contributing to the toxic environment that made Trump possible -- noting that when true alarms needed to be sounded, their "The sky is falling" warnings sounded a trifle hollow, unable or unpersuasive in terms of defining the unique threat that many saw in Trump's candidacy. After all, we'd heard plenty of heated pronouncements before -- a partial byproduct of the pressure to garner attention in a world driven by ratings and (in a historically recent departure for print journalism) traffic. On the November 11 edition of HBO's "Real Time," Maher confessed to having attacked President George W. Bush -- and later GOP nominee Mitt Romney -- "like he was the end of the world. And he wasn't. ... They were honorable men who we disagreed with, and we should have kept it that way. So we cried wolf and that was wrong. But this is real." In a New Yorker interview before the election, Beck sounded similarly chastened for over-the-top diatribes he employed regarding President Obama during his Fox News days -- having suggested in 2009 that Obama harbored a "deep-seated hatred for white people." "We've made everything into a game show," he said, "and now we're reaping the consequences of it." Some conservative pundits and columnists who joined the "Never Trump" movement experienced their own epiphanies. The Washington Post's Jennifer Rubin called upon those near the political center, on the right and the left, to unite as "champions of moderation," hoping "to cool tempers and dampen resentments." For most of this century, moderation as it pertains to political debate has been in short supply. Indeed, the norm in media circles has been for blaring headlines and all-caps chyrons to thwart nuance, whether that's the Drudge Report or the Huffington Post, Fox News or MSNBC. Competing in the digital realm is no place for the fainthearted or wishy-washy. While that's not a new set of circumstances, Trump's victory nevertheless represented a new frontier -- and for some, a wakeup call. In his latest column, the Wall Street Journal's Bret Stephens pointed to pushback against his frequent criticism of President Obama before conceding that "nothing quite prepared me for the torrent of opprobrium stemming from my undiminished disdain for Donald Trump." Critics have accused Trump and his supporters of dragging political discourse downward, and elevating provocative figures once reduced to the political fringes, such as conspiracy theorist Alex Jones. But that hysteria didn't come completely out of the blue; rather, the ground was gradually softened for this seismic political event. Nor is it false equivalency to say that hyperbole on multiple fronts helped release those shock waves -- and that while post-election apologies and reflection are admirable, it might be too late now, under the media's current circumstances, to put the genie back in the bottle.